Andrew Struve is a partner in Hooper Lundy & Bookman’s Litigation Department in the San Diego and Los Angeles offices. Andrew’s practice focuses on complex healthcare litigation and unfair competition actions as well as regulatory compliance matters, with a particular expertise in provider and plan representation, private equity, insurance, and the defense of consumer suits. In the healthcare field, Andrew has litigated both provider and health plan disputes, class and other representative actions, federal and state qui tam litigation, antitrust suits, RICO actions, managed care contracting suits, earnout disputes, partnership actions, bad faith claims, and payment disputes, and has additionally conducted numerous sensitive internal investigations and compliance audits, as well as responses to governmental and commercial billing/coding challenges. In the managed care and insurance fields, Andrew has litigated numerous fraud and other class actions in addition to individual unfair business practices suits, bad faith actions and rescission litigations. Andrew also has represented clients in trials and other litigation of significant matters involving real estate, title insurance, intellectual property, false advertising, employment, misappropriation of trade secrets, product liability, professional liability, partnerships, indemnity, contribution, subrogation, and other areas of the law, and has served as regulatory counsel and governance advisor to healthcare clients. 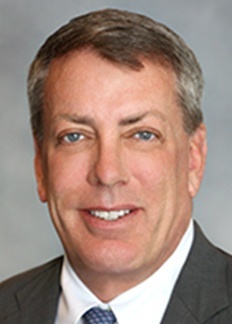 In addition to leading litigation teams in healthcare disputes in federal and state courts across the United States, Andrew also serves as national governance, regulatory, and compliance counsel for a number of companies. HealthSmart Benefit Solutions, Inc. v. Principia Underwriting, (W.D. La. 2014): Denying insurers’ multiple motions to dismiss client’s insurance bad faith claims. MacRae v. HCR Manor Care Services, (C.D. Cal. July 2014): Dismissing Consumer Legal Remedies Act and Unfair Competition claims based on alleged misrepresentations. Wehlage v. EmpRes Healthcare, (N.D. Cal. Feb. 2012): Dismissing claims against affiliated medical providers and parent company due to plaintiff’s lack of standing. Walsh v. Kindred Healthcare et al., 798 F.Supp.2d 1073, (N.D. Cal. 2011): Dismissal of Unfair Competition Law claim against nursing homes for alleged understaffing of facilities. Kinder v. Allied Interstate, (Cal. 4thDist, 2ndDivision): Affirming dismissal of 165 consolidated TCPA actions due to plaintiff’s failure to post $1.5 million security bond following a grant of defense motion for same. Nieto v. Blue Shield of California Life & Health Insurance Co., 181 Cal.App.4th 60, (2010): Affirming summary judgment for insurer and making new law on issues of postclaims underwriting and an insurer’s right to rescind. Alvarado v. Sun Healthcare et al., 153 Cal.App.4th 1292, (2007): First-impression decision affirming dismissal, on demurrer, of Unfair Competition Law action against client nursing homes for alleged violations of statutory nurse hours staffing requirements; the court held that the equitable abstention doctrine foreclosed the plaintiff’s attempt to usurp the assigned state agency’s regulatory authority over nurse staffing. C.C. v. [Confidential], (Cal. 2ndDist, 8th Division): Affirming dismissal of plaintiff’s entire action under sham pleading doctrine. Brockovich v. Kindred Healthcare, Inc., (C.D. Cal. Oct. 2006): Obtained dismissal on the pleadings of claims against hospitals and nursing homes seeking to recover sums allegedly due to the federal government under the Medicare Secondary Payer Act. Pitluck v. Beverly Enterprises et al., No. B1796802d Dist., Nov. 10, 2005: Affirming dismissal of Unfair Competition Law action against client nursing home providers, alleging unlawful and unfair practices relating to the purchase of indemnity insurance for claims made under California’s Elder Abuse Act. Boales v. Blue Shield of California, No. B175185 Cal. 2ndDist, 3rdDivision: Affirming dismissal based on failure to exhaust administrative remedies. Grauberger v. Saint Francis Hospital et al., 169 F.Supp.2d 1172, (N.D. Cal. 2002): Obtained dismissal of RICO claims against hospital system for alleged improper lien and pricing practices. Swanson v. St. John’s Regional Medical Center, 97 Cal.App.4th 245, (2002): Affirming dismissal on demurrer of unfair competition suit challenging hospital’s right to assert statutory liens.